A computer monitor calendar is a valuable productivity tool in many professions. 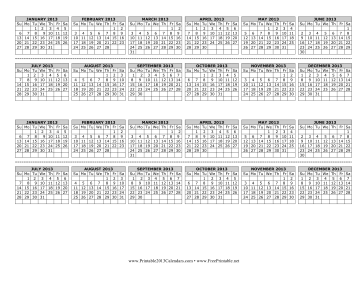 This calendar is designed to be cut apart and taped to the top and bottom of a computer screen, and is available in PDF or customizable DOC format. Free to download and print.